for the most recent manual and software updates for your Archos™ 104.
for free downloads of updated and improved software for your device. album, title, year, or genre. Click on Shufﬂ e, and listen to your music at random. computer, and you’ll be able to look at them wherever you take your Archos™ 104.
can even use the Archos double-browser to rename, create, copy, move, and delete ﬁ les and folders. help line or e-mail support to get a friendly Archos agent to give you a hand. 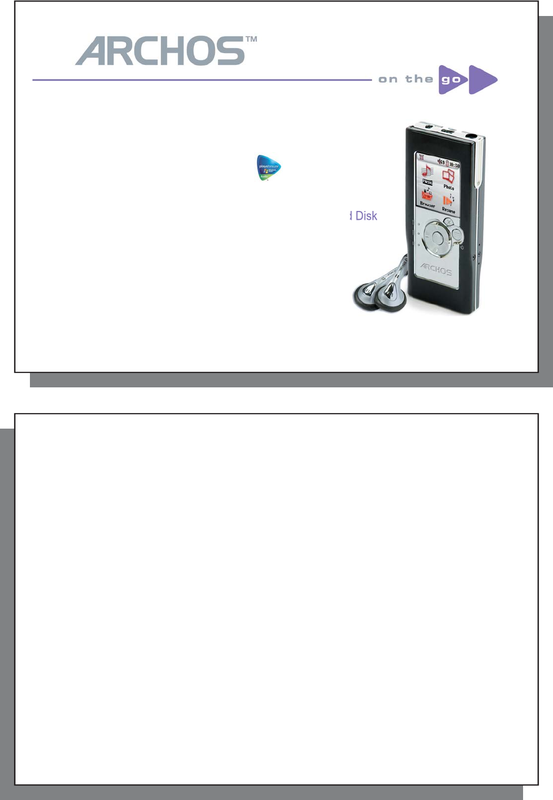 different appearance or modiﬁ ed functionality than presented in this manual.